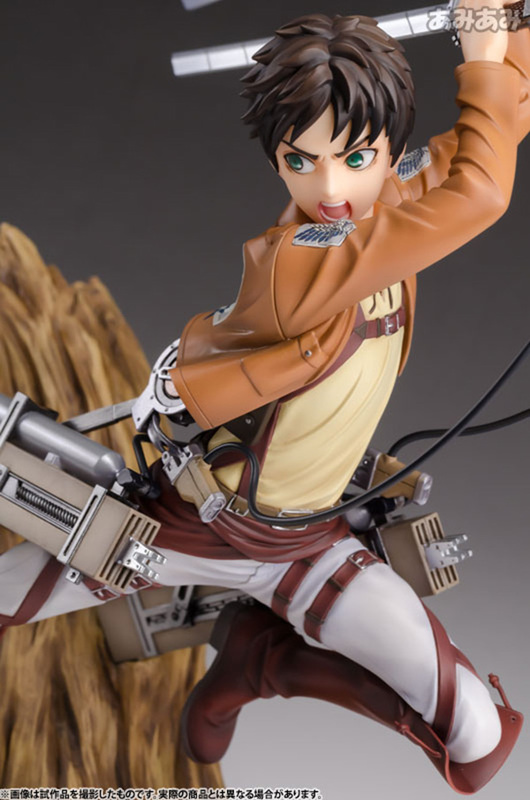 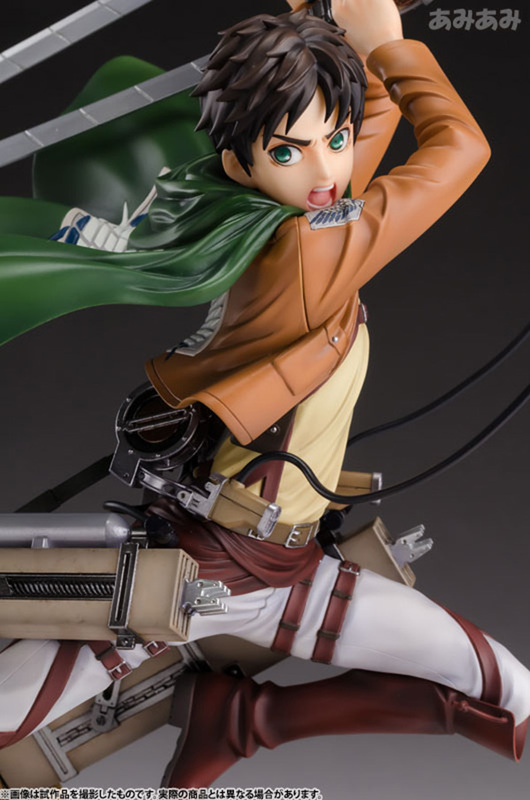 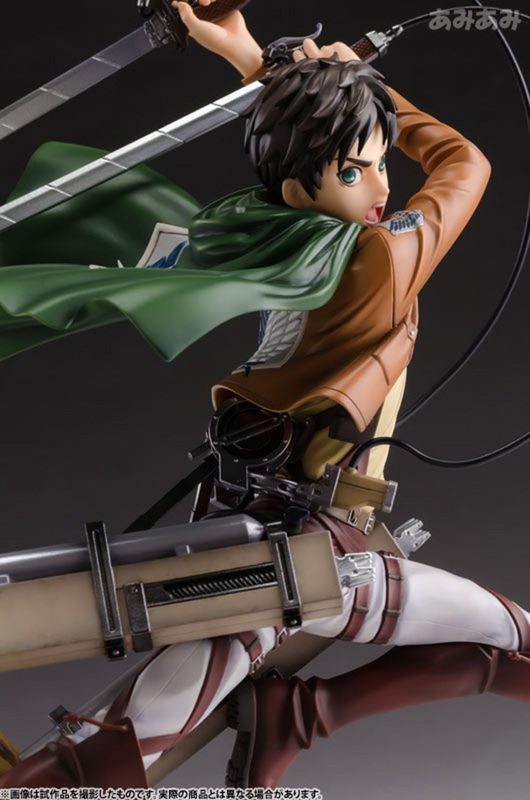 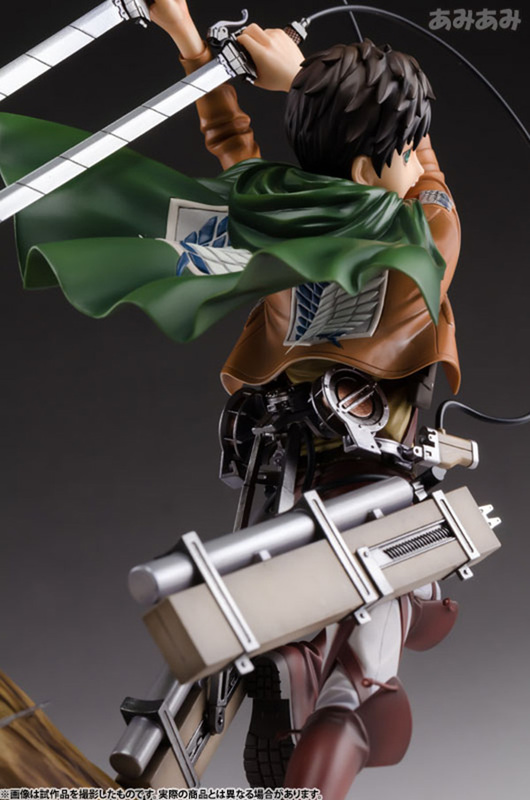 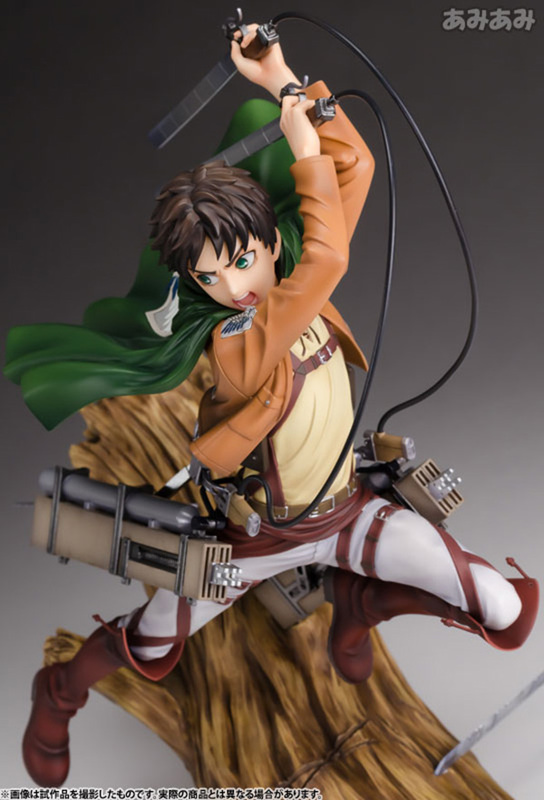 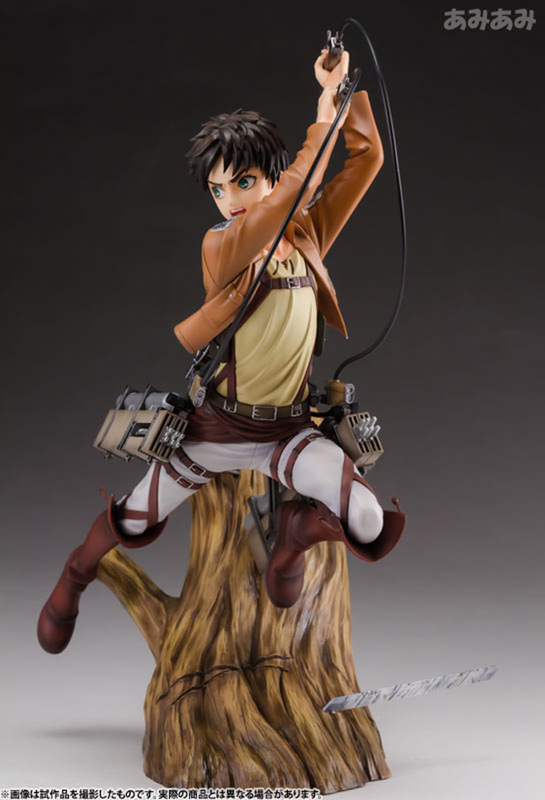 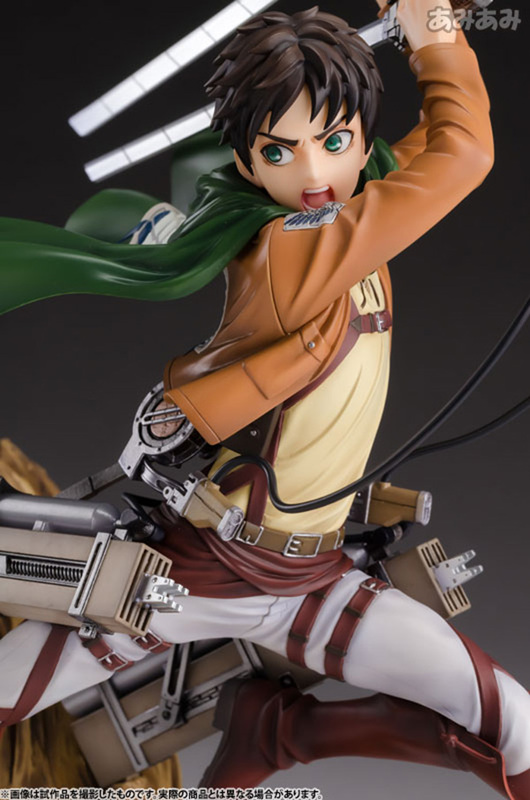 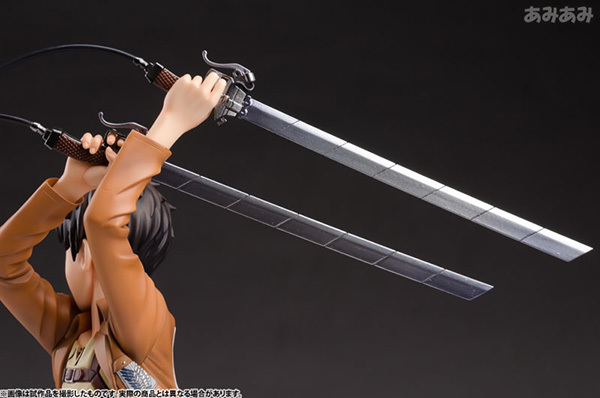 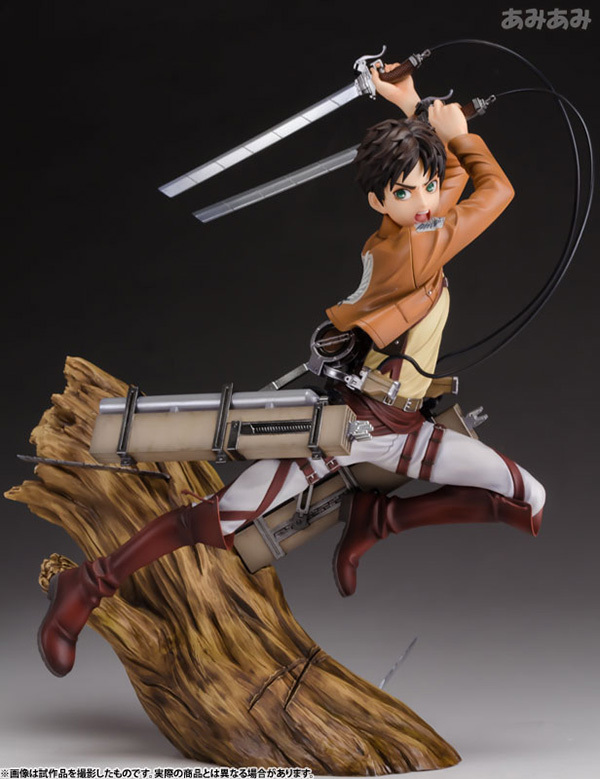 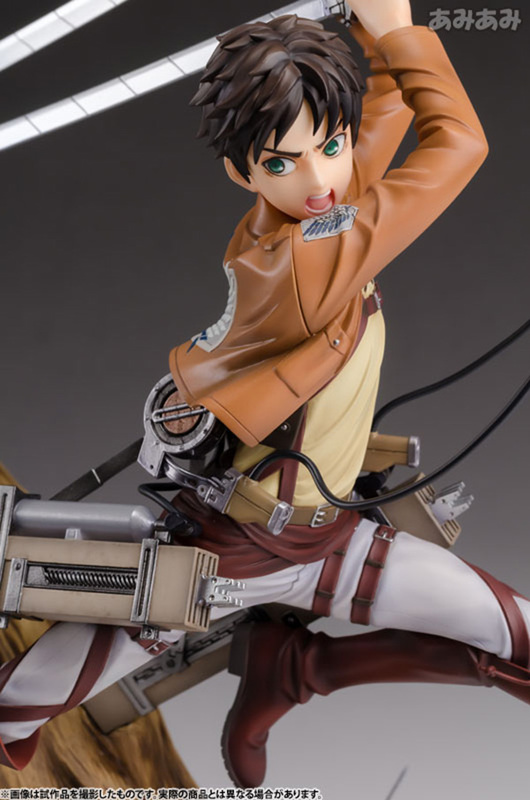 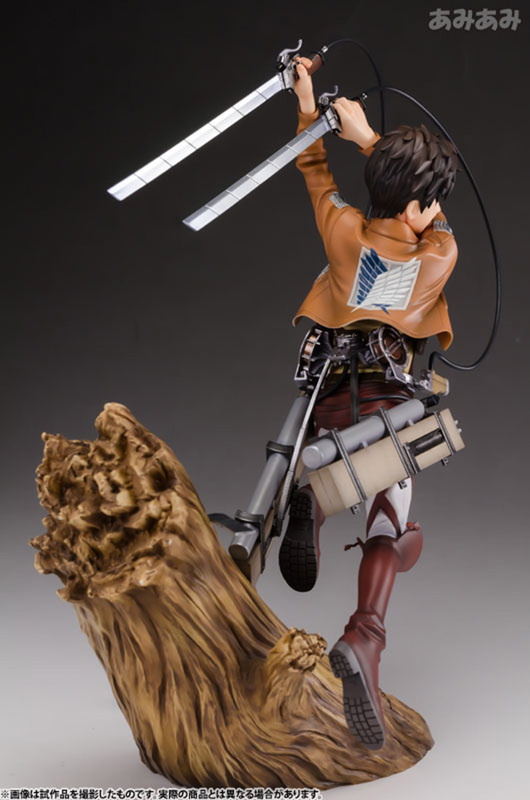 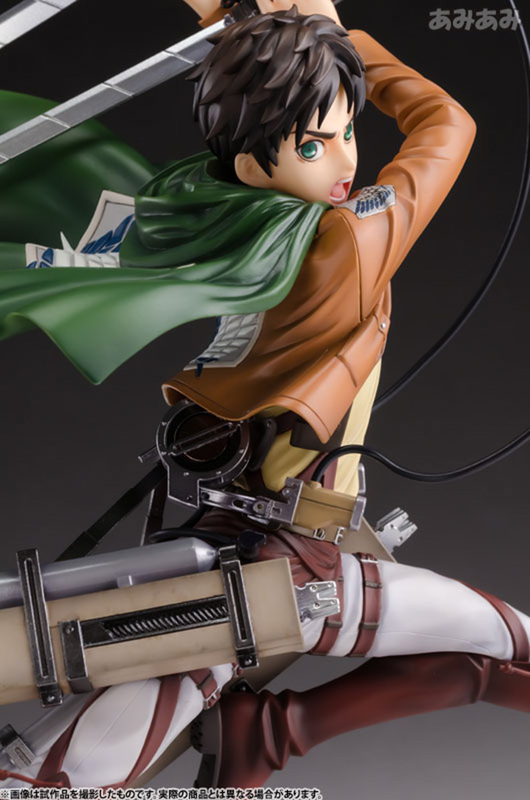 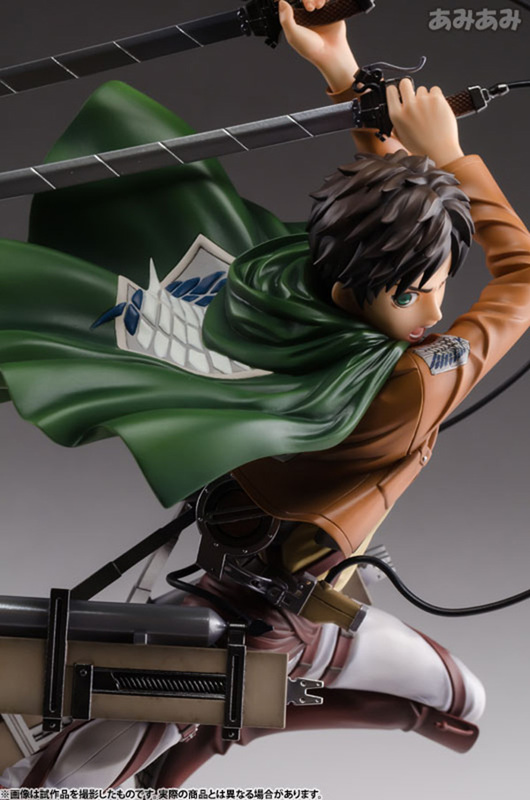 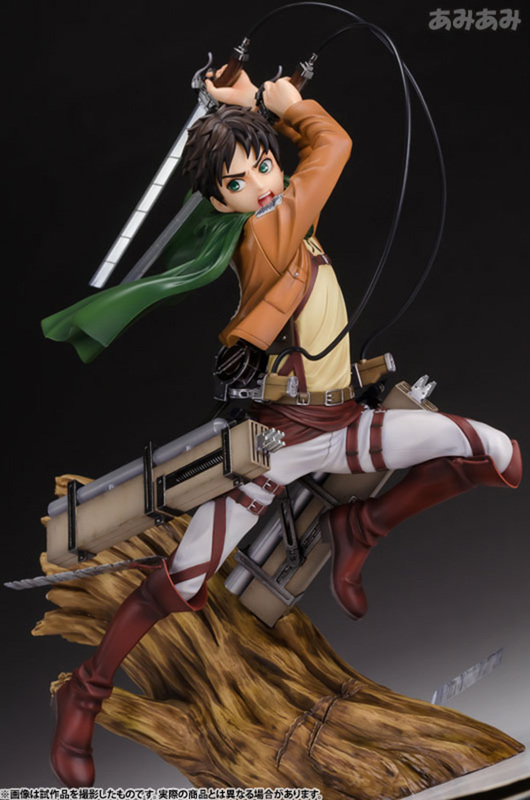 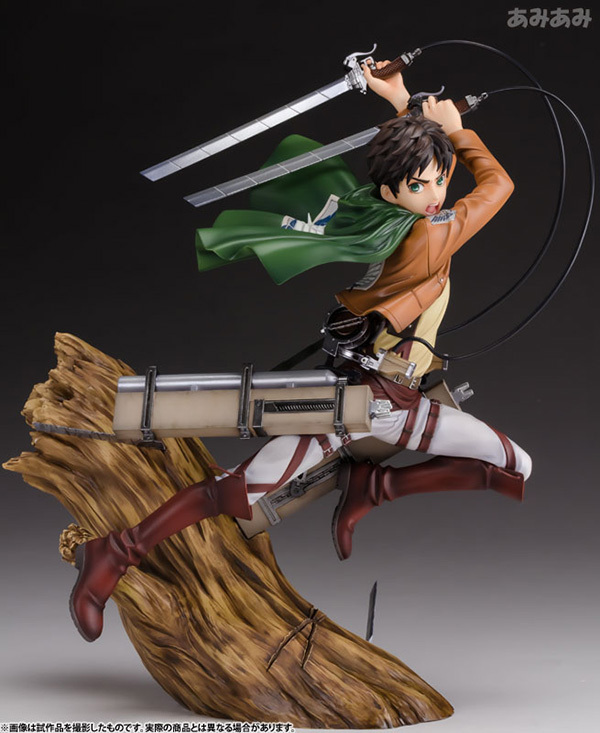 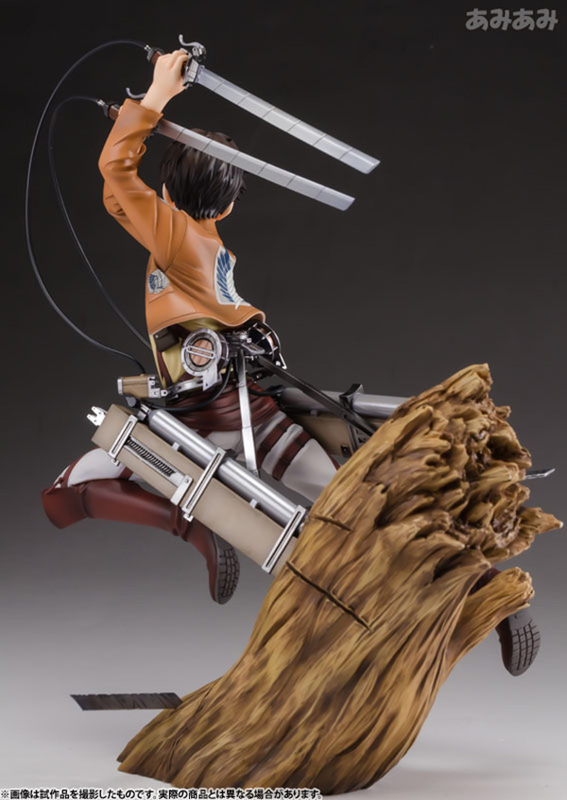 I think this is the best Eren Yeager figure we have (so far) and it’s being manufactured by Kotobukiya. 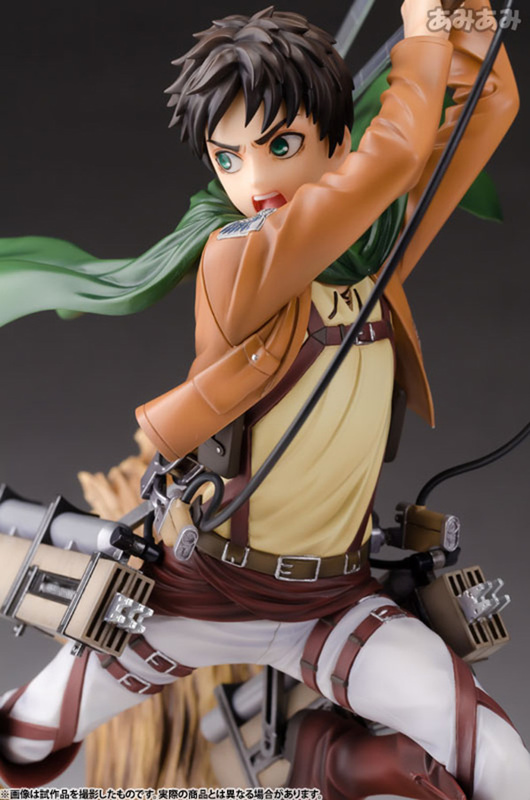 They basically nailed Eren’s dynamic pose which is one of the many things I love about this figure. 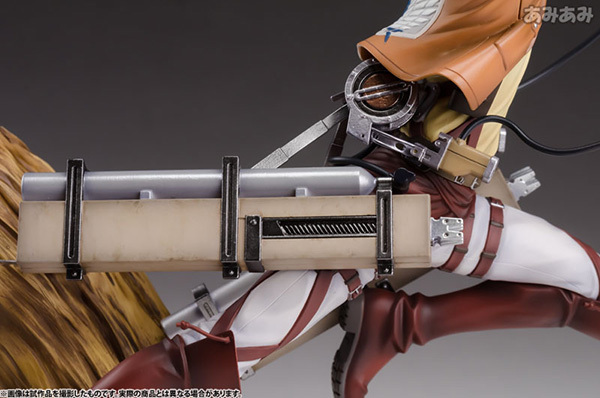 A perfect match indeed for their upcoming figure of Mikasa Ackerman. 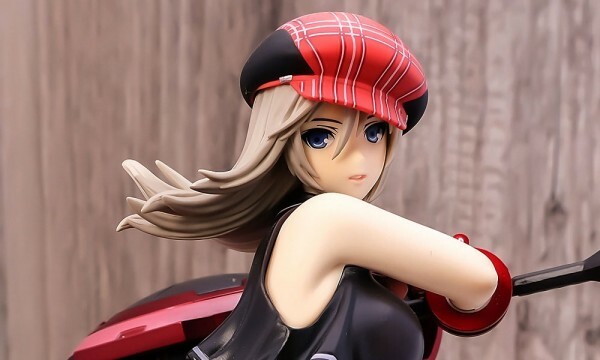 Waiting for GSC’s move. 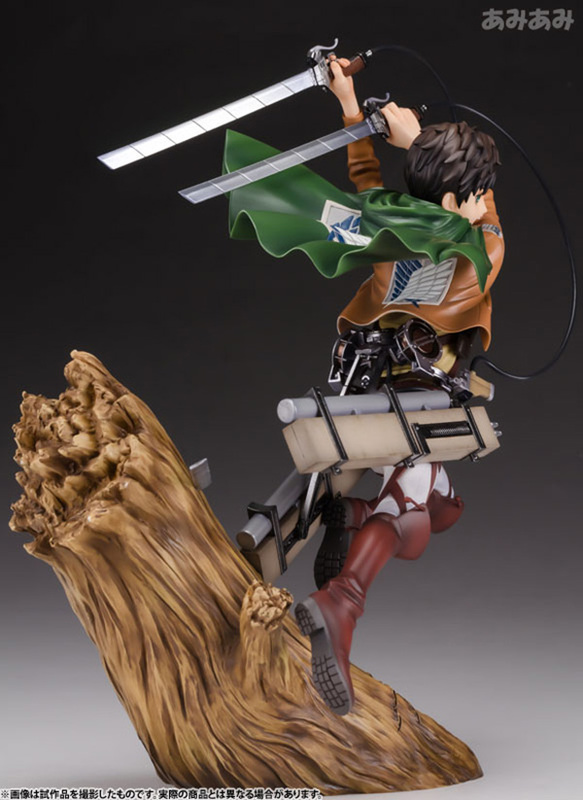 Scheduled for August 2014, ¥11,000. 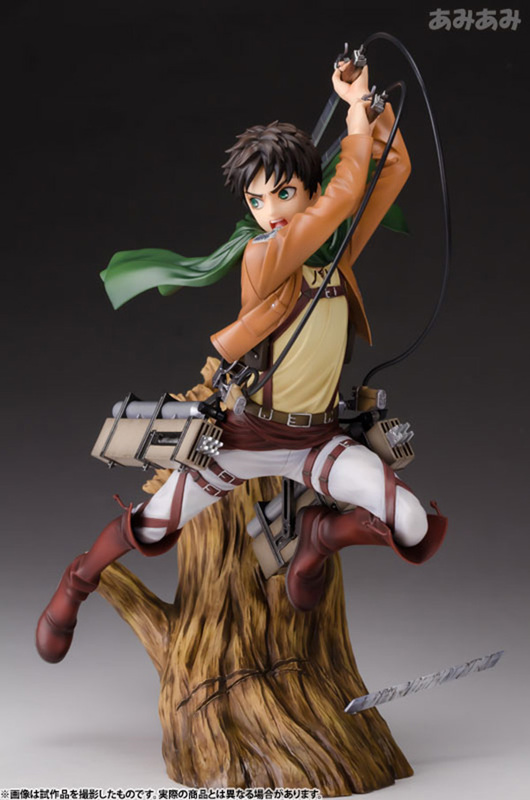 Eren Yeager (エレン・イェーガー Eren Yēgā, often romanised as Eren Jäger/Eren Jaeger) is the main protagonist of Attack on Titan. 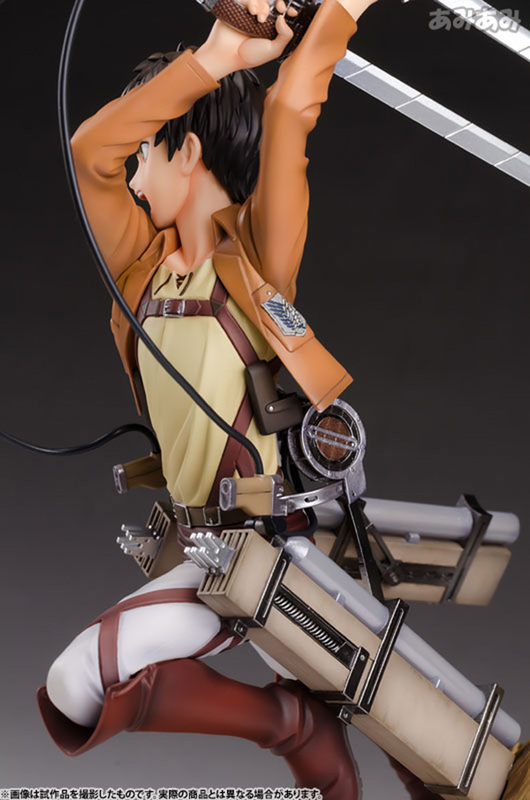 He is the son of Grisha and the late Kalura Yeager. 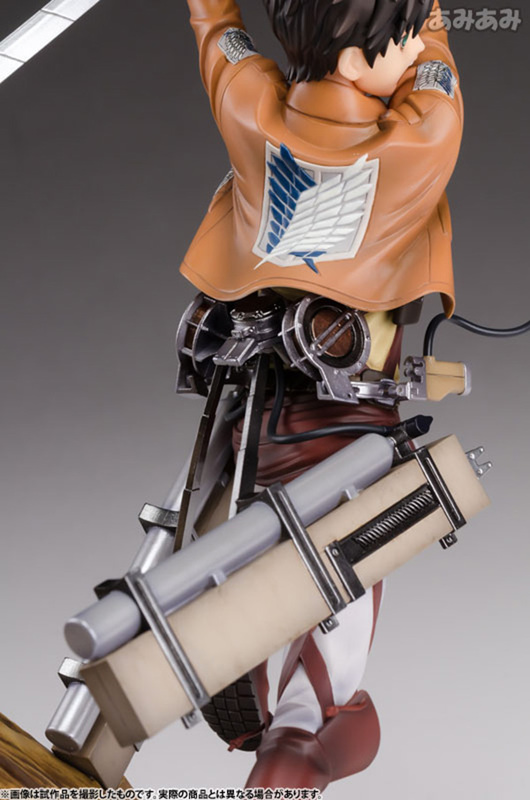 He was born in the Shiganshina District, a town located on the southern part the outermost Wall, which was destroyed by the Titans. 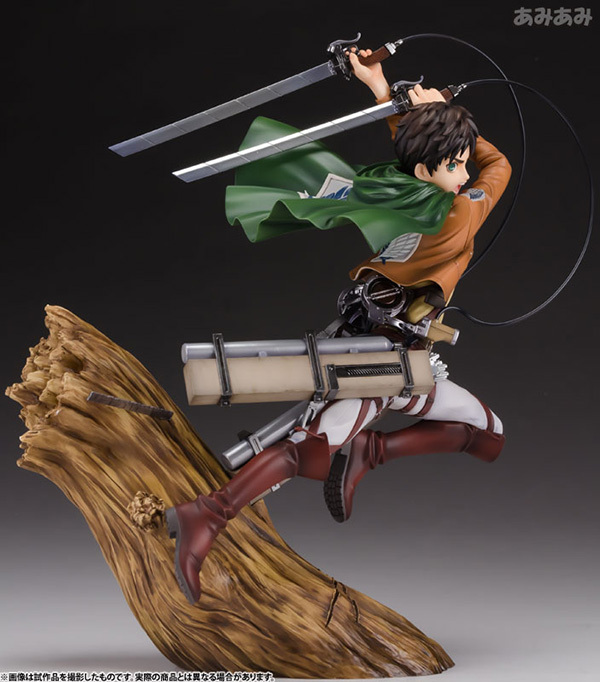 His best friends are his childhood companion, Armin Arlert, and his 'adopted' sister, Mikasa Ackerman. 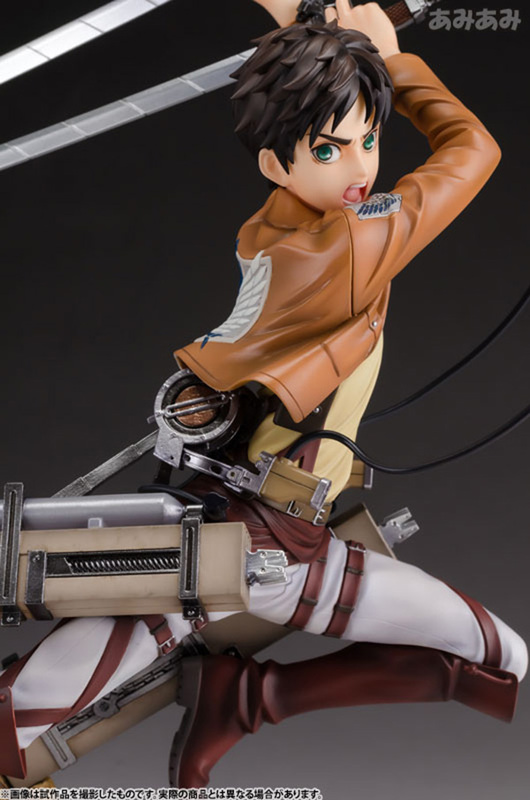 Attack on Titan (進撃の巨人 Shingeki no Kyojin, lit. 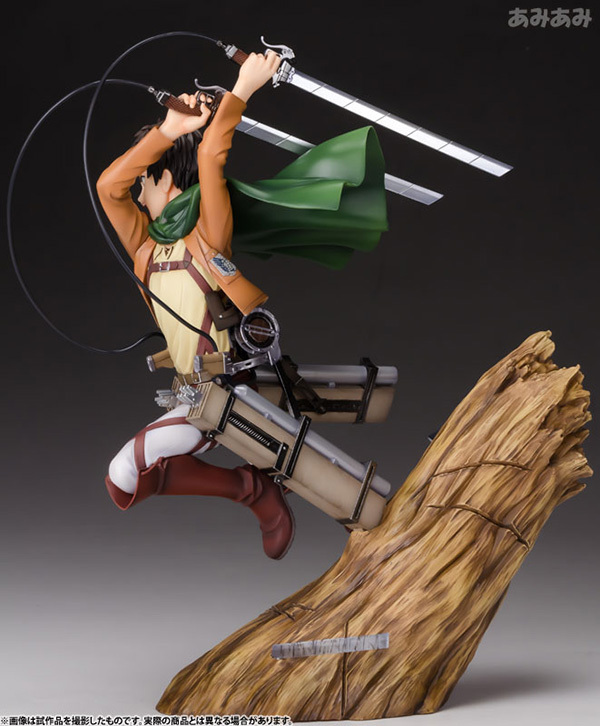 "Advancing Giants") is a Japanese manga series written and illustrated by Hajime Isayama. 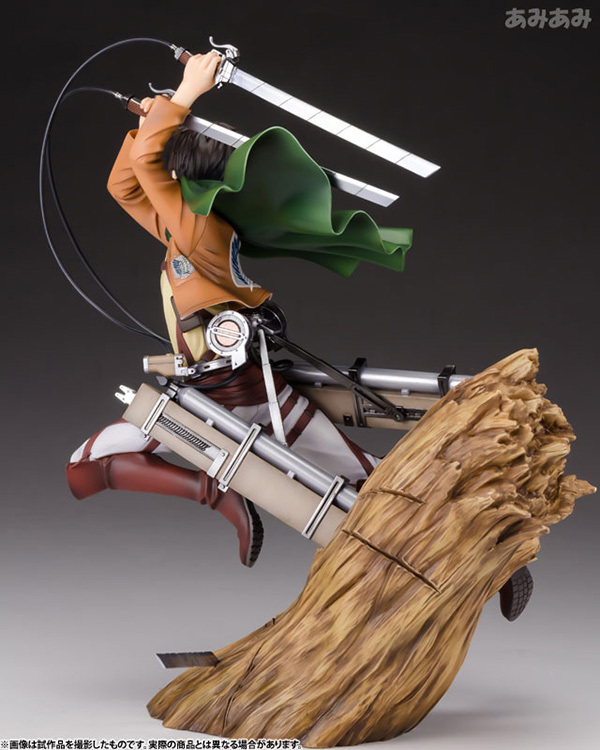 The series began serialization in Kodansha's Bessatsu Shōnen Magazine on September 9, 2009, and has been collected into 12 tankōbon volumes as of December 9, 2013. 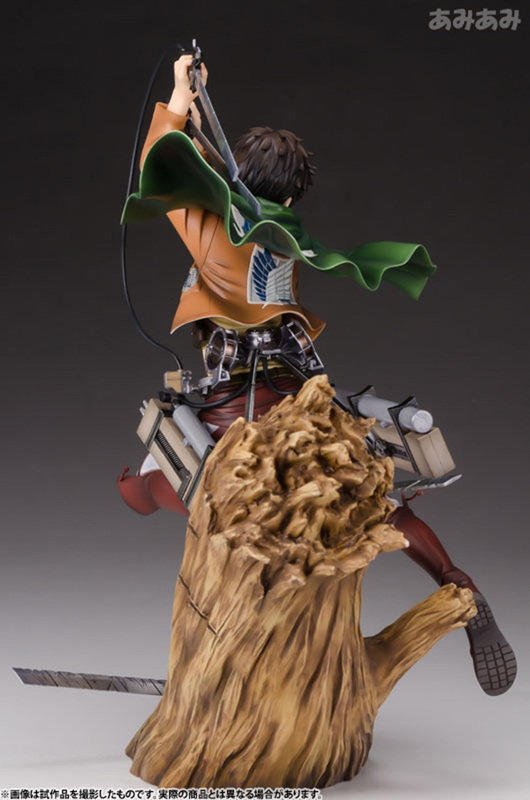 It is set in a world where humanity lives inside cities surrounded by enormous walls due to the Titans, gigantic humanoid creatures who devour humans seemingly without reason. 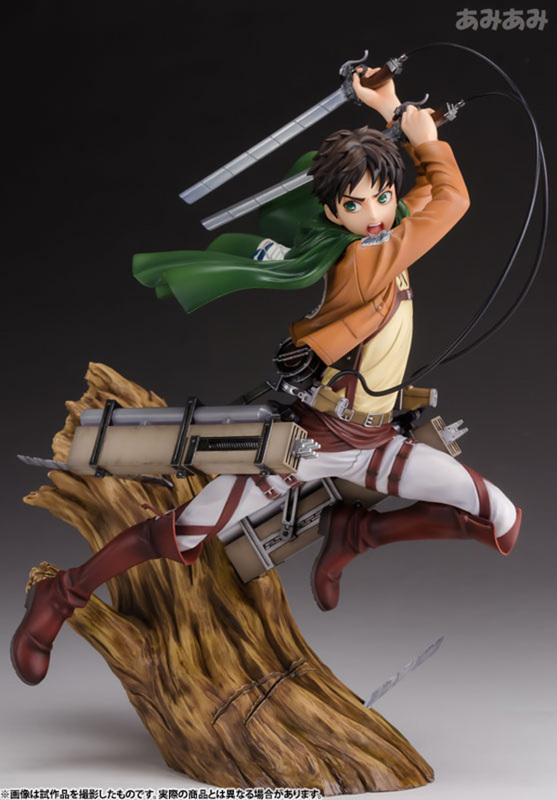 The story centers on Eren Yeager, his adoptive sister Mikasa Ackerman, and their friend Armin Arlert, whose lives are changed forever after the appearance of a Colossus Titan brings about the destruction of their home town and the death of Eren's mother. 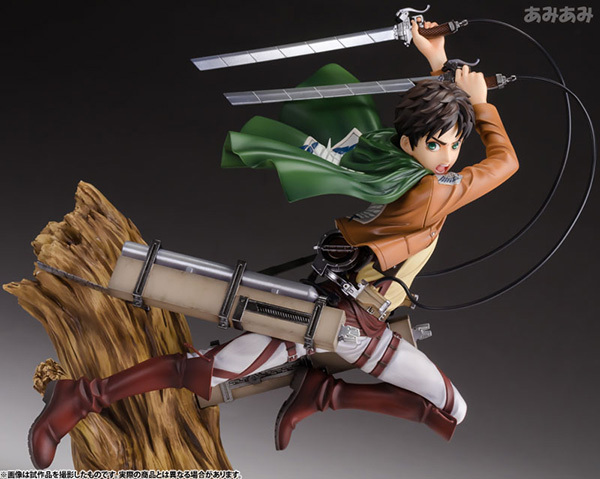 Vowing revenge and to reclaim the world from the Titans, Eren, Mikasa and Armin enlist in the Military and join the Scout Regiment—an elite group of soldiers who fight Titans outside the walls.